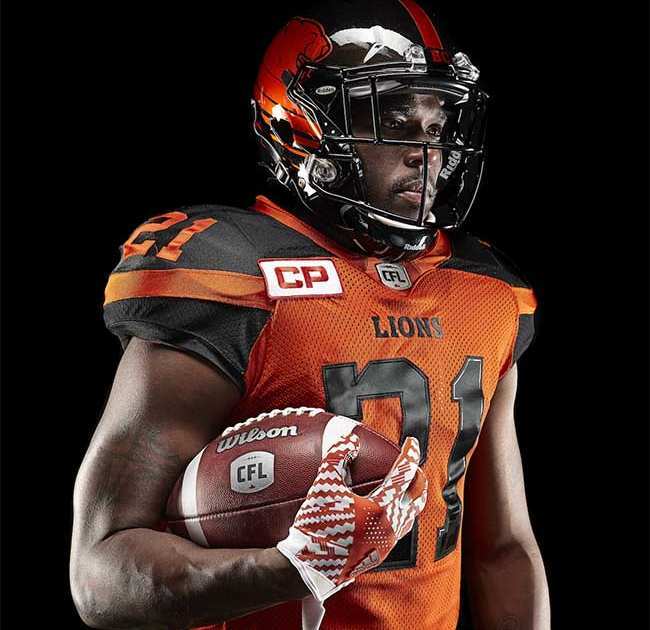 Veterans report to Kamloops today for physicals prior to the start of main camp on Sunday as the BC Lions prepare for their 63rd Canadian Football League Season. Instead of a BC Lions preview (we’ll save that for when the roster is determined) we’ll take a look at some of the positional battles to keep an eye on as camp gets going at Thompson Rivers University. While a few areas like linebacker are pretty much set, others are ripe for change and Wally Buono has never been a coach that has been afraid to make an ‘unpopular’ move to make the team better. Translation; you better not rest on your laurels if you’re trying out for a Buono football team. With good reason, Jonathan Jennings comes into camp as the front-runner for the Lions starting pivot job. The Lions “quarterback of the future” ignited the offence last season going 3 and 3 in his six starts before injuring his collarbone in the West Semi-Final. All his intangibles, age, skill, poise, all suggest that Jennings is the man to lead the Lions back to prominence, but there must be growth and consistency shown as he starts the 2016 campaign. For Travis Lulay, camp is a chance for him to show what he has left in the tank following an off-season that saw him able to train fully versus rehabbing his shoulder. That can make a huge difference, and Lulay has stated this is the best he’s felt in years. At worst, he will backup Jennings and has already discussed his acceptance of a mentorship role to his good friend Jennings. Lulay understands the cycle of life for a quarterback and knows he’s near the end of that cycle. Yet, he’s fully supportive of his younger counterpart and the Lions are fortunate to have that relationship. Buono has stated the number one spot is not set in stone and that the pecking order will be determined in Kamloops and through the pre-season. That Jennings will have to be awfully bad and Lulay will have to turn some heads for Buono to consider a switch. The team needs to sell tickets, and they are banking that Jennings, and the excitement he can bring to the offence will be a big part in bringing fans back. Second year Lion Greg McGhee will be in for a fight with newcomer Keith Price who some felt showed more during the team’s mini-camp in April. While McGhee was on the Lions roster last season, he doesn’t have as much CFL playing time as the newcomer. There is probably more pressure on McGhee as a returning player, mostly because Wally Buono expects you to be that much better in year two than you were in year one. 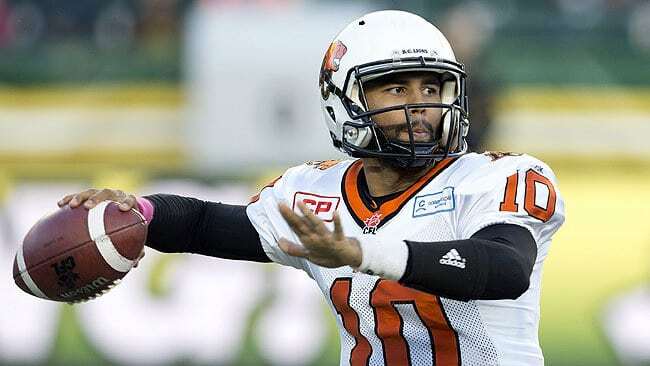 Price comes to the Lions after time with the Riders in Saskatchewan where he went 32 of 50 for 407 yards, 3 TD’s and 1 INT in limited playing time. Buono isn’t averse to carrying four QB’s on the roster, but the battle for number three should be an interesting one to watch. It seems every training camp we are talking about the battle for jobs on the offensive line. That’s probably because on every football team the o-line is the core of your success on offence. If it’s great, you can do great things. If it’s not, you’re going to be in for a long season. The Lions addressed this area both in free agency and the draft by adding the likes of Levy Adcock from the Riders and drafting Charles Vaillancourt (Laval) and Dillon Guy (Buffalo). Longtime Buono confidant Dan Dorazio returns to the Lions after a one-year tour with the Riders, and is high on Adcock. 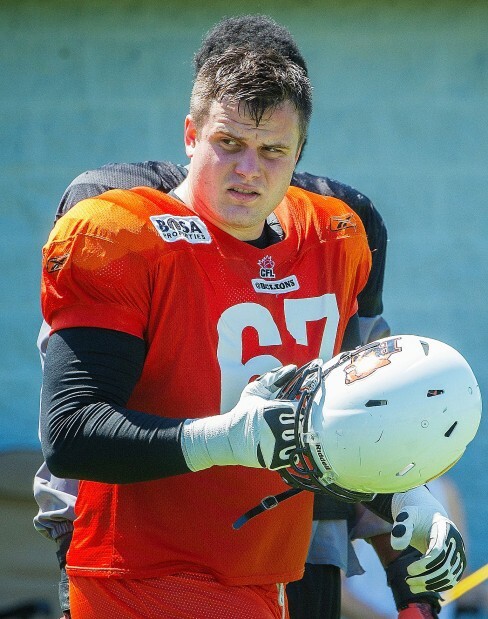 So much so that the Lions released last year’s starter Tommie Draheim who was quickly snapped up by the Redblacks. The Lions will look to move perennial all-star Jovan Olafioye to the left tackle spot and slot Adcock in on the right. In the middle the Lions went out and picked up BC boy Tim O’Neill who at 36 brings a ton of experience at centre, but also a short-term solution. Both Vaillancourt and Guy have some experience playing the position, and the Lions also looked at the recently released Cam Thorn for the centre spot, but early indications are they would like to start grooming Guy in that position for the future. Also front and centre will be the health of the promising Hunter Steward, who needs to show he can get through a training camp, not just a season. Steward could be a huge piece of the Lions o-line if he can do that and he says his foot problem is behind him heading into 2016. Kirby Fabien will also be another year removed from his devastating knee injury and hopefully now has the confidence again to bring a nastier streak to his game. Players lCody Husband and T-Dre Player and Surrey native Jas Dhillon are also going to need to show well, especially with the depth the Lions have added through the draft. Once Jennings took over the offence last season the passing game started to come alive. Manny Arceneaux in particular started on a tear that had people forgetting about his less than productive first half of the season. 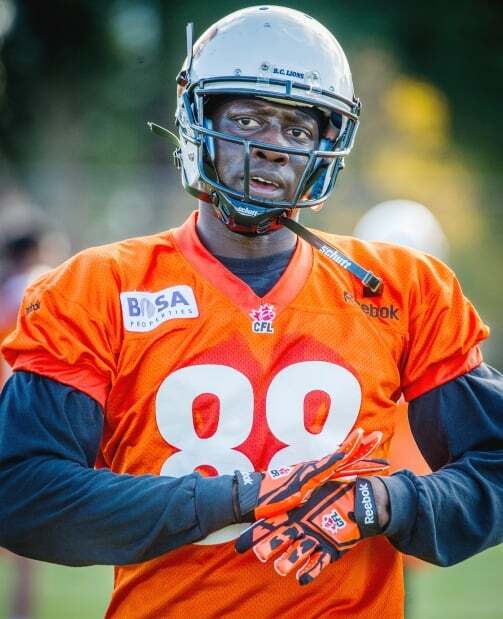 But the Lions will be looking to improve the unit, and a name to watch is Boise State alumni, Geraldo Boldewijn, who caught the Lions eye last year and spent time on their expanded practice roster before playing in the final regular season game last year. Boldewijn was given his release to pursue NFL work this off-season and the Lions were thrilled to get him back. He’s a tall receiver who has great hands and decent speed and should be ready to make a contribution this season. The Lions also went out and brought back Nick Moore as a free agent signing from the Winnipeg Blue Bombers. Moore brings experience and another potential 1000-yard receiver to the Leos lineup, if he can stay healthy. Add Moore to the likes of Lavelle Hawkins and Bryan Burnham, and there will be some interesting choices to make here on cut down day. Canadians Shawn Gore, Stephen Adekolu and Marco Iannuzzi will welcome draft picks Shaquille Johnson and Brett Blaszko into the group and both will be looking to show they are still the best option at the national receiver spot. Derek Yachison will need to show what he’s learned over the last two Lions camps to stay in consideration for a roster spot. Life after Andrew Harris begins and the Lions have stocked up on international players for the position to try and replace that offence. Jeremiah Johnson and Anthony Allen were brought in from Ottawa and Saskatchewan receptively while the Lions are also hoping Chris Rainey can play a bigger role in the offence. Shaquille Murray-Lawrence returns and will compete for reps. Newcomer J.C. Coleman turned heads at rookie camp and while the Lions knew he was quick and explosive, Buono praised Coleman for his ability to block as well. If Coleman continues to impress, the Lions may choose to keep him around, making either Johnson or Allen expendable. The Lions enjoyed many years of continuity to their secondary until the last couple of seasons, when they were forced to start to get younger. Ryan Phillips is the sole survivor from the trio of Dante Marsh and Korey Banks and is coming off a strong season. Phillips, along with free agent signing Brandon Stewart (Hamilton) will be the leaders of the group. Mike Edem (Hamilton) was signed as a free agent and is a player the Lions are excited to get their hands on. There will likely be a battle there for the starting safety spot with Eric Fraser, who played well for the Lions after joining them last season, and possibly Keynan Parker as well. The unit lost Josh Johnson over the winter but got Steven Clarke back from NFL tryouts last week. TJ Lee, Ronnie Yell and Darious Lane return, but keep an eye on newcomers Loucheiz Purifoy, Davarus Shores, Dino Teague and drafted national Anthony Thompson. Richie Leone comes in as the incumbent and will once again compete with Anthony Fera, who spent last season on the Lions practice roster before seeing action in the last game of the regular season. Leone will look to improve in his consistency, particularly on field goals and converts, while Fera will look to show he’s just as capable and force Buono into a tough decision.